Children love nothing more than to role play with their friends or even alone, developing creativity and imagination through play. 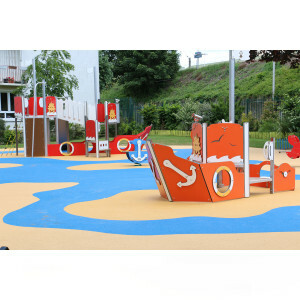 We have such a huge range of playground equipment with various themes, but we find that boats are always a firm favourite with all age groups. 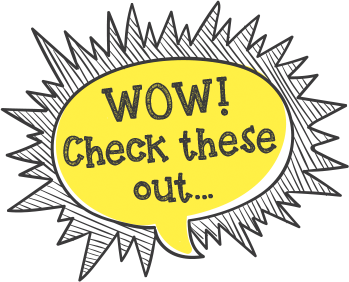 We have selected a range of boats which not only meet the imaginative play criteria but are also packed with other play activities too. 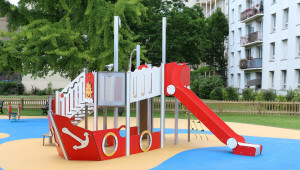 For example, we offer boats with tunnels, play panels for younger users, slides, nets, easy access stairs/ platforms for those less able, fireman’s poles and much more. Children can climb aboard and start their buccaneer adventure. Role play allows children of all ages and abilities to engage with their peers and learn, for example pretending to be various parts of a ships crew gives a sense of responsibility and purpose to each child this not only builds confidence and team work skill development but allows the children to have fun through adventure play, battling the stormy seas and avoiding pirates while communicating with friends. Cognitive skill development is vital for children at an early stage and imaginative play is a fantastic way to nurture this. 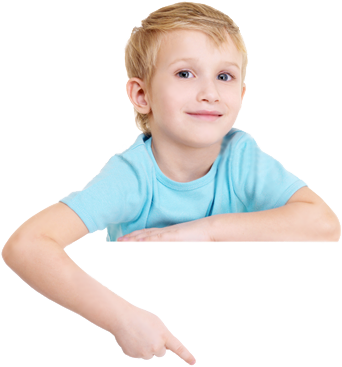 When children are given the opportunity to creatively think it allows them to remove logic from the process and think outside the box, imagination can also spark further interest in books or films of the same theme which is why a boat is a fantastic choice as this is present in many children’s adventure stories. Each boat allows a level of physical development, for those less able there are smaller physical skills such as fine motor skills turning the wheel, to spinning shapes on a play panel and sliding down the slide. For other users there is a range of strength building activities such as climbing, stepping, crawling all working on the gross motor skill development. 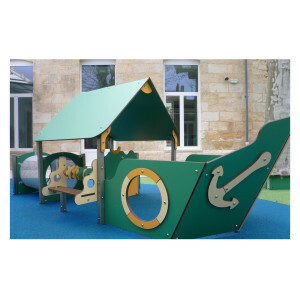 We have a huge variety of boats for younger years with low platforms, play panels and easy access for those less able to large boats with various platform heights, climbing nets and walls and challenging elements for older years play. All our boats can also be coloured to suit your location and branding, so if your school colours are yellow and blue, why not have a play boat to match? For further information or pricing please contact us directly.